Giorgio Armani presents some looks from his Spring/Summer collection that gives you a reason to endure the hot but sunny weather ahead. If the clothes could be described as lightweight it would be literal only – this feels like a collection for the big dudes, y’know, guys with shelf like shoulders and intimidating height. The thing with that super slouchy look is you’ve got to have the frame to carry it. If that’s you – get in. Catch more after the jump. This entry was posted on June 28, 2012 by He Who Wins. 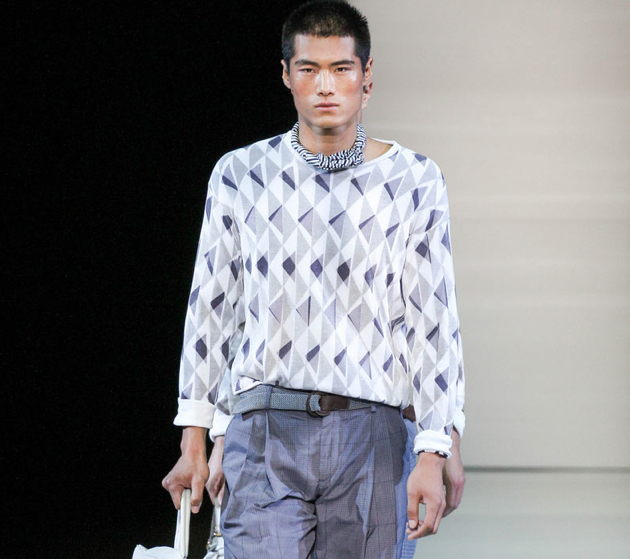 It was filed under Fashion and was tagged with fashion, giorgio armani.